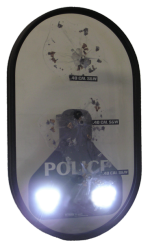 Cide Shields are a newly patented personal protective mini-shield device invented by law enforcement for law enforcement. 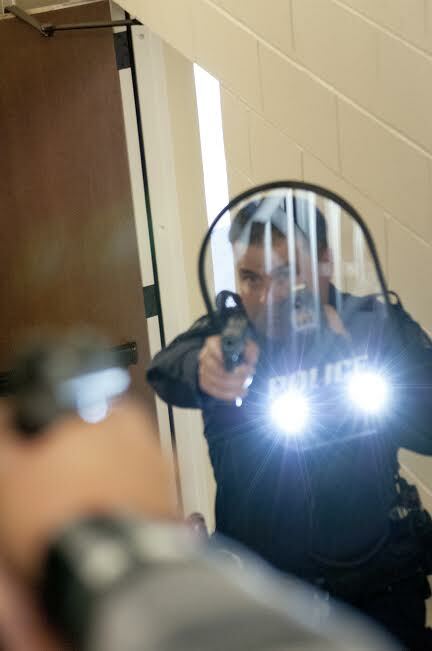 Specifically designed to provide immediate ballistic protection for the “Thin Blue Line”, church security personnel, home defense and school safety administrators, while replacing the flashlight with a dual high-intensity flood light system. Cide Shields provide multiple threat protections including; Ballistic, Explosive, Edged Weapon, Chemical, Animal and Physical attacks for the head, face and neck. 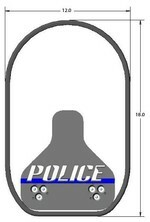 Immediate cover designed to protect our uniformed law enforcement responders as they conduct “routine patrol duties” like traffic stops, unknown trouble calls, answer domestic violence situations,… It is our uniformed patrol and security personnel who potentially face the most dangerous situations yet have the least in protective equipment. Cide Shields personal protective mini-shields have further been designed to replace single flashlights currently being used with a dual high-intensity flood light system. Standard equipment on each shield is our 2000 Lumen ultra-bright light, which are independently wired for increased reliability. 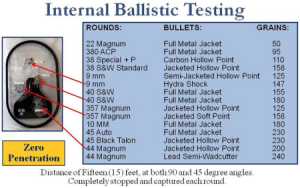 We have conducted both internal and external ballistic testing of our shields against these rounds, at both 90 and 45 degree angles, with zero penetration. Significant to our transparent ballistic material is the capture capabilities of fired rounds. Even at 45 degree angles our shields captured rounds fired, lessoning the chances of rounds bouncing off the shield and striking innocent bystanders or fellow responders. Additionally, captured rounds eliminate the need to search for fired round evidence. Then we contacted the National Law Enforcement and Corrections Technology Center (NLECTC), who advised our shields did not need to be certified. We had it done anyway because having a federally approved independent testing lab conduct NIJ ballistic testing is just that important. We utilized the National Institute of Justice (NIJ) ballistic standard 108.01, and had an accredited testing laboratory conduct the tests and evaluation. The result of their testing has concluded our Ballistic rating at a NIJ Level II. The Beat Shield is our lightest shield, weighing only 8 pounds. It is 17.5 x 10 inches, providing the same protective qualities and features as our other shields. This compact personal protective shield is ideal for traffic units, as it is small enough to be stowed in most motorcycle saddle bags. 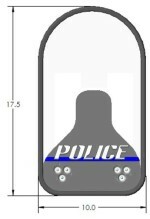 The Officer Shield weighs 10 pounds and is 18 x 12 inches. This popular personal protective shield apparatus is ideal for “routine patrol duties”, providing immediate protections when responding to and initiating all types of enforcement or investigative functions. 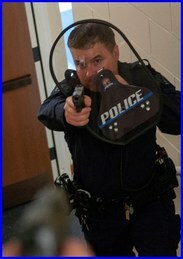 It is small enough to keep right in the front seat when on patrol and large enough to provide exceptional protections. The Pathfinder flashlight is a great light for church safety teams. 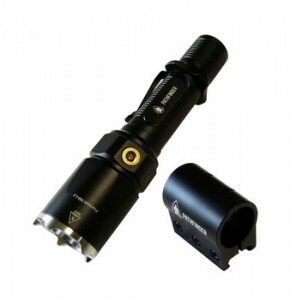 It has three levels of brightness ranging from 90 lumens to 980 lumens. And, it has a strobing feature as well which is important for proper light intimidation. In addition, it is a light that won’t break the bank. There is no need to spend hundreds of dollars on “name brand” lights when this light will get the job done! Having a long gun available to your team is imperative to mission success. 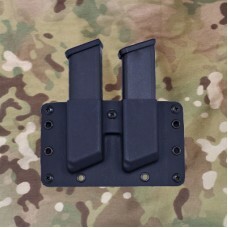 And of course, you are going to need to have ways to carry your ammo. We offer discounted prices for church security team members. In addition, if there is anything that you don’t see pictured or listed, please contact us and we will do our best to meet your needs!!! 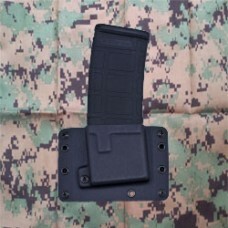 You can choose from single to multiple magazine carriers. We offer discounted prices for church security team members. In addition, if there is anything that you don’t see pictured or listed, please contact us and we will do our best to meet your needs!!! 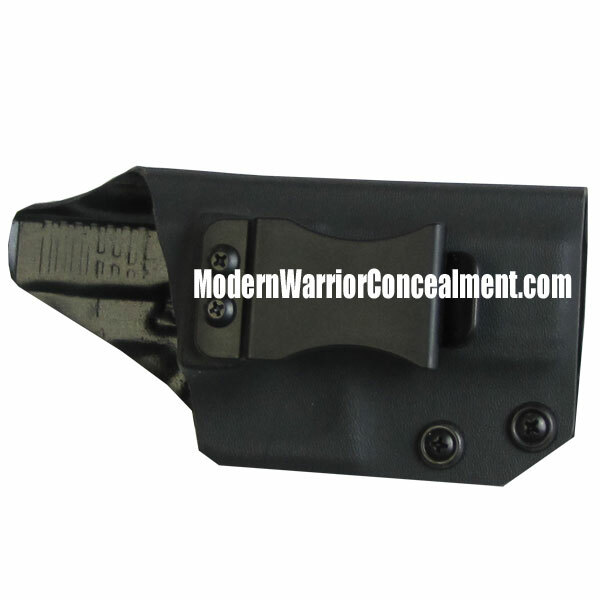 We have a great selection of inside (IWB) and outside (OWB) the waist band holsters. We offer discounted prices for church security team members. In addition, if there is anything that you don’t see pictured or listed, please contact us and we will do our best to meet your needs!!! Be sure to read our cancellation policy before signing up for a class.